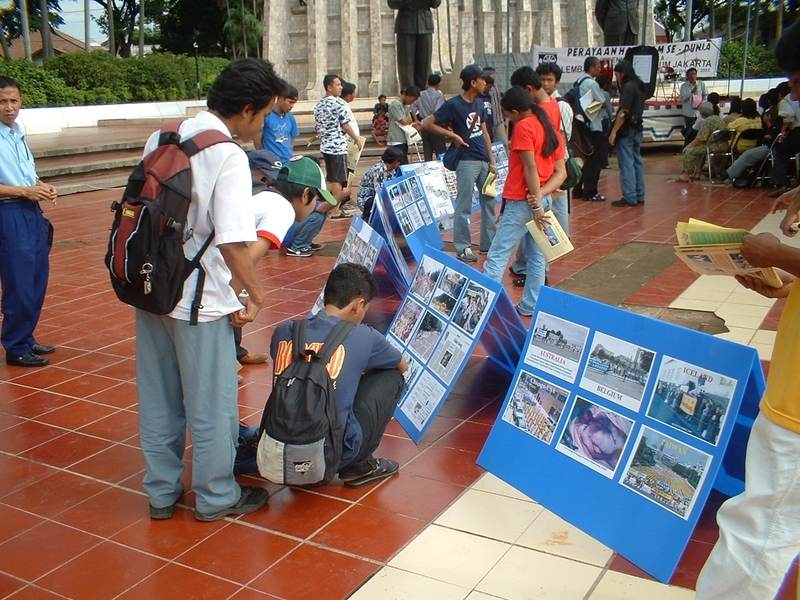 (Clearwisdom.net) In Jakarta, many civil organizations conducted commemorative activities on International Human Rights Day, December 10, 2003. Several thousand people walked to the Capitol and gathered there. 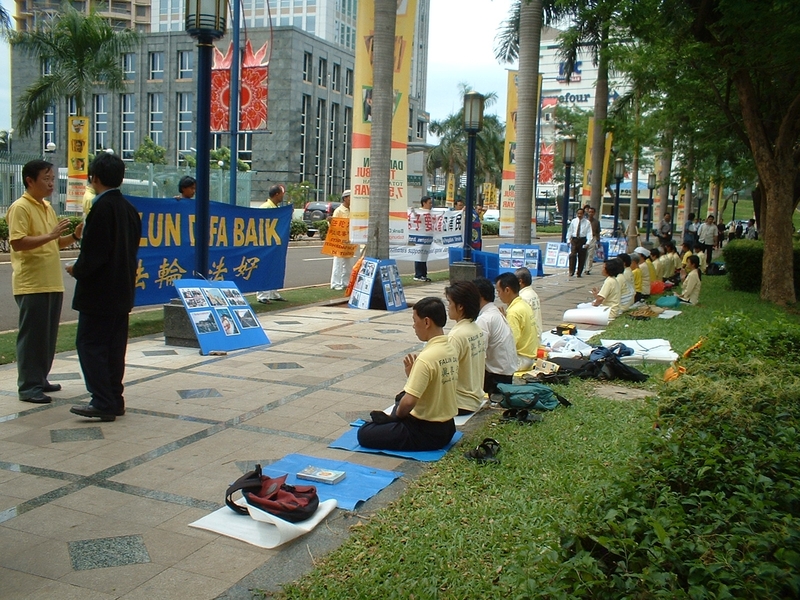 In addition to these processions, about 50 Falun Gong practitioners held an event to commemorate International Human Rights Day in front of the Chinese Embassy. Unlike the other groups, the Dafa practitioners did not chant or display any slogans, but rather held a three-hour session of meditating, practicing the exercises, and showing posters with photos of victims of the persecution in China. 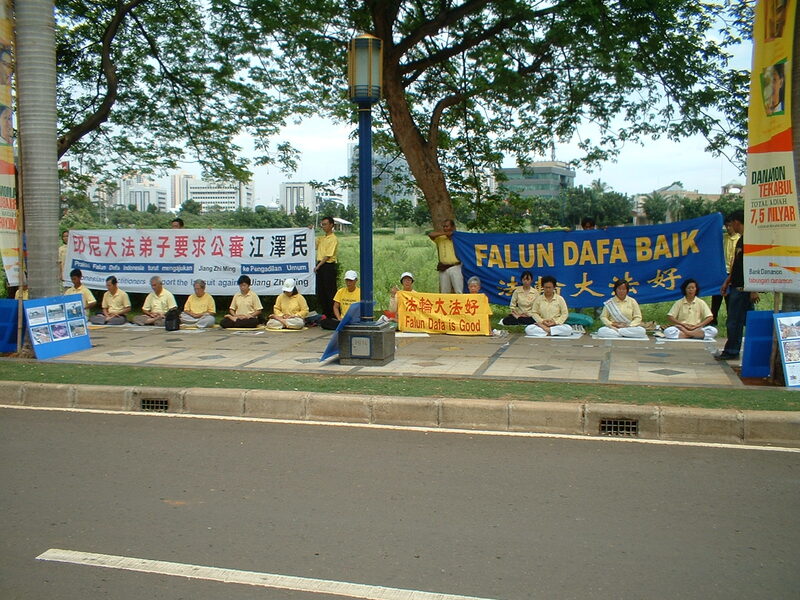 On their banners were written "Stop Persecution of Falun Gong Practitioners in China" and "Falun Dafa is Great." Passers-by saw the peaceful practitioners. Some police were interested in the information on the persecution of Falun Gong in China and wanted to learn the truth of the human rights situation in China. Many reporters from local media came to cover the event. Two people looking like officers came out of the Chinese Embassy and took close-up photos of each practitioner in sitting meditation. After finishing their photo shoot, both returned to the embassy building. 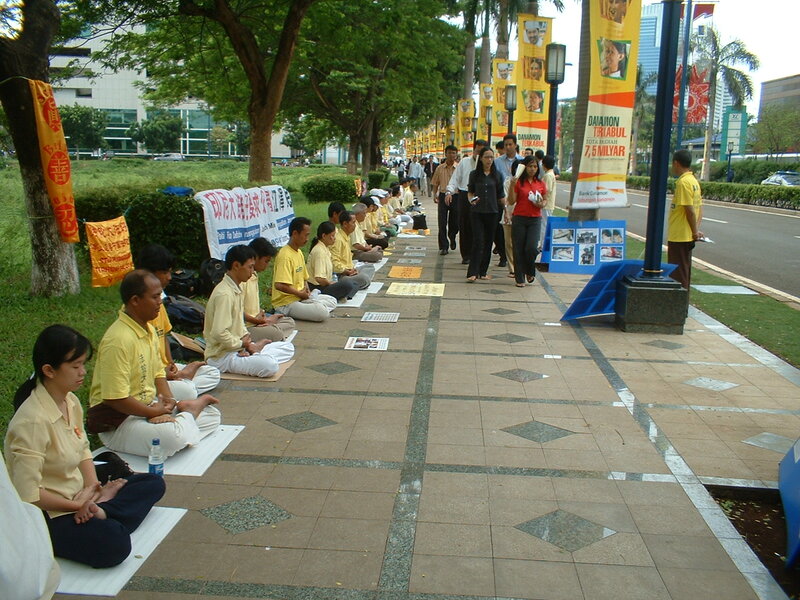 The Falun Gong practitioners said, "That's why so many overseas Falun Gong practitioners are included on the blacklist. But whether the embassy conducts spying or terrorist activities, we will not change our belief in Truthfulness, Compassion and Tolerance. Instead, their conduct lets us understand the necessity and importance of exposing the persecution." In the afternoon, the practitioners held a commemorative activity in front of the Indonesia Independence Monument and showed posters with photos of the persecution victims in China. Indonesian visitors came over to look at the posters and paid close attention to the persecution photos.